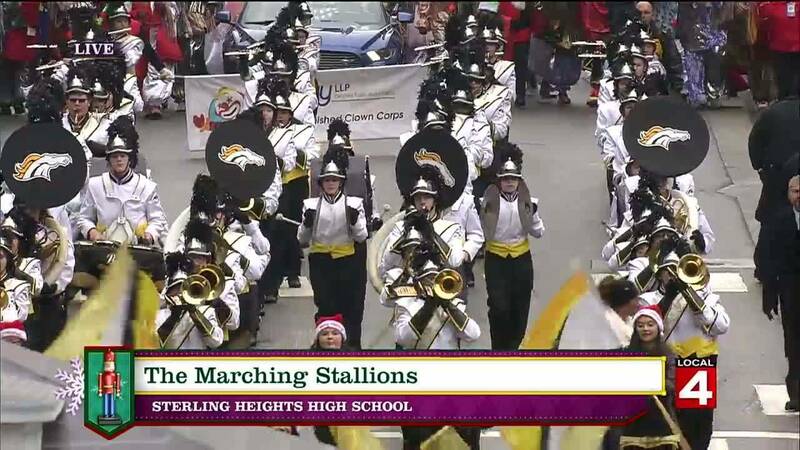 DETROIT - Wild horses couldn't keep Sterling Heights High School away from voting its marching band winner of the 2016 America's Thanksgiving Day Parade Battle of the Bands. The Marching Stallions and nine other Metro Detroit high school marching bands performed during this year's parade. They topped the competition with 3,890 votes, which was about 500 votes more than Fraser High School's Rambler Marching Band. Congratulations to Sterling Heights band members and their family and supporters! And congratulations to all participating bands in this year's America's Thanksgiving Day Parade. Watch replays from all participating bands here.